This Saturday 20th April is Record Store Day in London - a day to celebrate music, and to celebrate your local record stores. Lots of stores will have events on, but the main action seems to be happening around Berwick Street in Soho (home of Sister Ray, Black Market Soho, Sounds of the Universe & more), in Notting Hill, and at Rough Trade East off Brick Lane. Lots of special records are being released, bands are playing for free, DJs are playing sets... Go along, get involved, and spend some money in the shops. "Record Store Day came into being in 2007 when over 700 independent stores in the USA came together to celebrate their unique culture. The UK followed suit and 2013 will see the sixth celebration of the UK's unique independent sector. 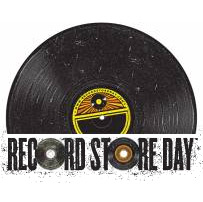 This is the one day that all of the independently owned record stores come together with artists to celebrate the art of music. Special vinyl and CD releases and various promotional products are made exclusively for the day and hundreds of artists across the globe make special appearances and performances. Festivities include performances, meet & greets with artists, DJ's, in store quizzes and many other events."